Litter born 4th June 2013. 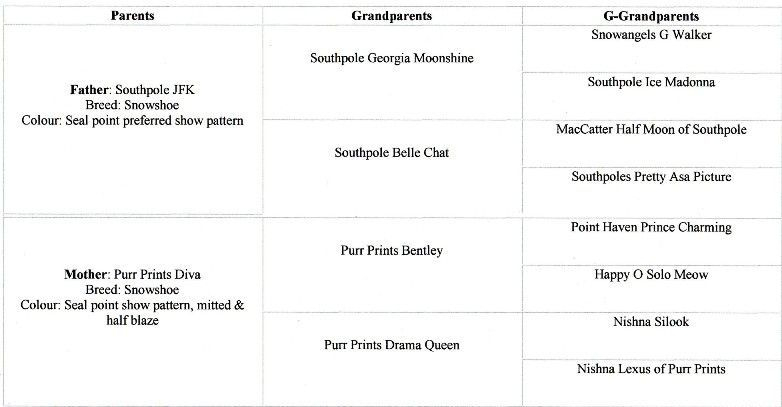 Sire: Southpole JFK - Dam: Purr Prints Diva. Pedigree of June 2013 litter. Three lovely kittens born 4th June 2013. 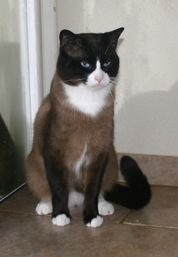 Seal Point Preferred Pattern boy. Currently available to Pet or Show home. Now living with Betty & family. To a breeding home only. Now living with Tracy (as a future breeding queen). Click here for further photos of this litter.